It’s gone and I don’t have a backup. Each time I hear this, it makes me cringe, knowing that this tech solution could be an uphill battle. 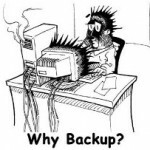 Regular backups can help save you trouble, stress, and more importantly, if you are a business, money. We all want our computers and the information they contain to last forever and be problem free. On the other side, if you have used a computer, you know that Murphy’s Law applies doubly to them and they can have problems. Major problems. There are many components in a computer which can fail at any time, or all at the same time. There is also the human error factor. The only thing to do is plan for it. These days with the cost of external storage devices being so low, and the size of small data storage increasing, it is easier than ever to make sure your data is safe. This page covers some basic backup ideas and suggestions and designed for the average home user or small business in mind. For bigger businesses, there are enterprise-class solutions available which you can scale. What do I want to backup? Where do I want to backup? The answer to the What question is an important one. This decision can be as simple as just your vital documents (small backup file, will allow you to make the fastest backup, but any non-vital files will be lost), to all your documents (mid-to large sized file, much slower), to the maximum form of backup, which is called a disk image (slowest backup speed, biggest possible file but can help protect your data in case of a catastrophic event like a fire or power surge). A disk image is a copy of the entire contents of your hard drive. To help figure out the answer to What, I encourage people to organize their data. Even if you just have your music and a few documents on your hard drive, it is important to know where they are. By making sure the appropriate files are in the right folders, you can speed up your backup and find out exactly how much you have to backup each time. Most Windows-based computers have individual folders for Music, Movies, Documents, Favorites and such. Some programs have their own default directory for storing data files. This makes it much more complicated not only to find data, but the back it up and restore it if necessary. Firefox, Google Chrome and Outlook are three examples of these. You can change the settings of each of those programs to change where it stores its data. Just redirect their My Documents, Favorites and E-Mail to point to the proper location in your folders. Once you have your data organized, you can look at each folder and see how big they are. To do this, right-click the folder you want to see the size of, then left-click Properties. On the dialog that comes up, it will tell you how big the folder is. Kilobyte (KB) – Most document files created in Microsoft Word are anywhere from 10KB and up. Terabyte (TB) – 1024 gigabytes. Some hard drives these days are a terabyte or larger. (Fun fact, it’s estimated that the Library of Congress would fit into 100 terabytes of space, the internet is estimated to take up over 500,000,000TB, or 500 exabytes worth of storage space. Floppy Discs and CD-R’s have fallen out of favor over the years. Floppies are too limited in size (1.44MB or half an MP3) and are no longer being produced. CD-R’s (600-700MB) are costly and fail too often. If you want to use those for your backup, do so at your own risk. DVD-R/RW’s (4.7-8.4GB) can be used, but I find them too troublesome for frequent backups. The amount of time to burn a DVD, the problems with durability and the cost are usually limiting factors. Flash drives can be purchased cheap, prices of $10 for a 4GB drive are common, I recent bought a 16GB drive or only $15. I prefer the ones that are cap-less, as personally I have a tendency to lose the tiny caps that some models are equipped with. External hard drives are the most cost effective for storage of large backups. I have a 1TB drive I use at home for my infrequent backups (see below). The final type of storage is called off-site. This is typically a service provided by a company, sometimes for free, but often with a fee attached. Each company will have different options available for how much storage space they give you, but most include easy-to-use software to help you with your backup. 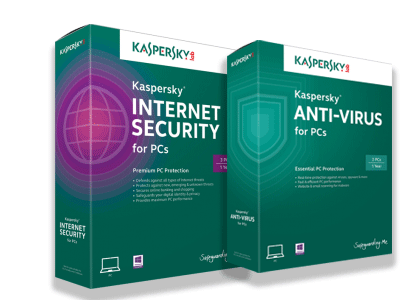 Services like Microsoft SkyDrive, Google Docs and backup software along with certain internet security applications like Norton 360 sometimes include this. Once you know where your files are, how big they are, and where they are going, we can get to the big part, the actual backups. I suggest the same sort of backup procedure for everyone, business and home users alike. You can scale the timing to your preferences and needs, but this process is good practice for anyone. My suggested method is a combination of all three kinds of backup I listed above. There are free programs out there to help you with your backups, as well as some that are paid programs. Windows 7 and Vista have a built-in backup program (you can find it under Start>Accessories>System Tools>Backup). I’m a fan of Easeus Todo Backup Free which provides easy ways to schedule your backups, and allows you to even select individual files but you may find a program out there that works better. This backup will be done the most often. Appraise your files. If you can’t possibly see yourself without that particular file should something happen, we will put it into the vital files backup. I suggest doing this weekly for home users and daily for businesses. I suggest having this on an external hard drive that is constantly connected to the computer. This allows backups to happen without any need to connect or disconnect a drive. This includes your music, movies, favorites, documents and anything else you would want to have a normal backup of. I suggest this to be stored on an external hard drive that you detach from the computer. This way, if there is a virus or catastrophic event like a power surge, the backup will be protected. For home users this can be done monthly, every two months or however. These days with the amount of music purchased through online music stores like iTunes, this backup becomes a little more important, so if you are getting your music online, do this backup more often. Nothing is worse than losing your entire music library to a lightning strike and have to re-download the entire Lady Gaga discography you used your collection of iTunes gift card for. For business users, the frequency of backup really depends on how many documents your office produces each week. One way to think is how much work can you afford to lose (if you are all-digital and paper-free) or have to reenter (if you have paper records as well). Another important instruction for business users is make sure you store this backup outside of the workplace when you are not using it. This way, should there be a fire, or some other office-level catastrophe, your backup is stored off-site. That also brings up off-site backup services which transfer your information via the internet to a remote server. This can be very beneficial, as most backup services have backups themselves, further covering your digital security. I suggest everyone should make at least one disk image of their computer and store it somewhere safe. Using programs like Easeus, or Windows Vista and 7’s built in imaging software, you can make a full copy of your hard drive onto DVD’s. This will, in case of a virus or other event, allow you or a technician to restore Windows back to its final glory, often much cheaper than a traditional virus removal. Using at least a 2-pronged backup procedure can help you or your business save on money and stress. It reduces down service time, down time and gives you peace of mind. Armed with this information you will be well off to making sure your data stays protected. Any suggestions for backup procedures or easy to use programs to help with backups? Leave a comment below! Start backing up your PC with our guide today!